GripStrips are the most innovative product for exterior stairs available on the market today. They are tough, long lasting, re-usable and GripStrips are resistant to weather, pressure washing, shovelling and even salting - no peeling or ripping! 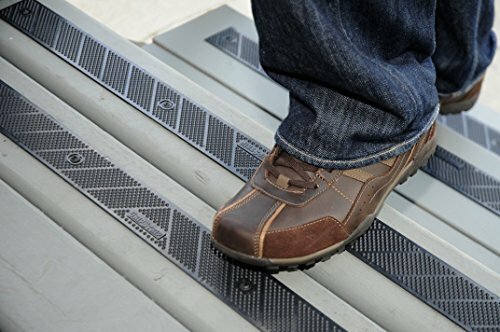 GripStrips are ideal for stairs, steps, porches, decks, docks, ramps, trailers, RV steps, wheelchair access ramps, construction site safety, walkways and so much more! For residential and commercial or industrial applications. Used by school boards, municipality, strata and property management companies around the world. If you have any questions about this product by GripStrip, contact us by completing and submitting the form below. If you are looking for a specif part number, please include it with your message.